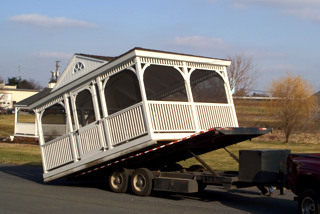 We will deliver your outdoor structure from our shop in New Holland, Pennsylvania, to your location anywhere in the USA. structure just where you want it. to your specifications right on your site. If your site is not accessible, we can deliver the structure as a package and either you or a contractor can assemble it. Can we help you find something at Backyard & Beyond?